You will need Node, Yarn and React Native installed on your machine. This tutorial was developed using Node 11.2 and React Native CLI 2.0.1. Picking up from part one of this series, we will now apply the things we’ve learned into a practical scenario. In this tutorial, we will update an existing chat app so it becomes offline-friendly. Basic knowledge of React Native is required. We’ll also be using Redux and Redux Saga, so a bit of familiarity with those is helpful as well. We will use some of the packages and techniques used in part one of this series. But since we will be updating an existing app anyway, I recommend that you initialize a new React Native project and copy the files from the starter-chat branch instead. Then you can install the packages with yarn install and set them up individually. All the packages for the starter chat can be linked using the react-native link command. The chat app uses Chatkit, so you’ll also need Chatkit account. If you’re not familiar with Chatkit, be sure to read the quick start. Offline authentication - the app communicates to a server to authenticate the user every time they open the app. We’ll update it so when the user is offline, it will authenticate the user via a passcode. Offline message composition - the app doesn’t allow the user to type a message when they’re offline. We’ll update it so they could compose their message and commit it even if they’re offline. And once they go online, the messages will be sent automatically. Local storage for recent messages - the app doesn’t show any messages when the user is offline. 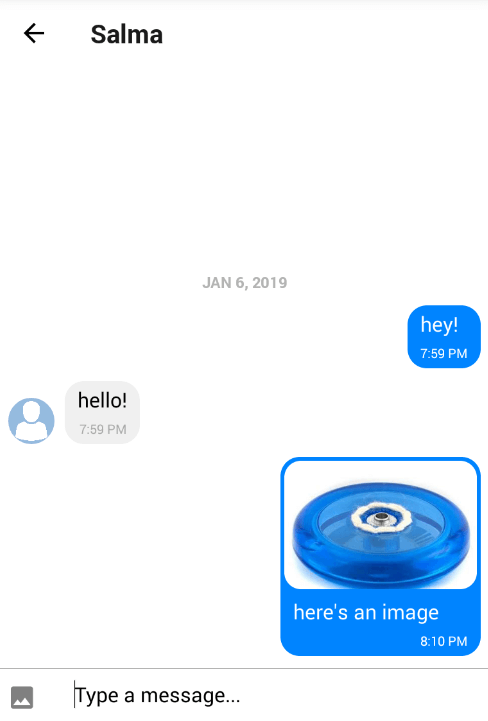 We’ll update it so it locally stores the recent messages with the last person they chatted with. You can find the source code used in this tutorial on its GitHub repo. The chat app we will update is on the starter-chat branch, while the final output for this tutorial is on the offline-friendly-chat branch. React Native Offline allows us to easily implement offline capabilities in the app. While Redux Persist allows us to persist the Redux store so its data can be accessed while the user is offline. Redux Saga allows us to create a watcher for internet connectivity changes. This allows us to implement things like banners to notify the user when they go offline. Note that if you’re following this tutorial some time in the future, there might be breaking changes in some of the packages. To ensure the app works, it’s recommended that you install the same package versions indicated in the package.json file. Now we’re ready to update the Login screen. This is where we’ll add a passcode so we can authenticate the user with it when they are offline. This means that we’re basically making an assumption that the last user who logged in is the one that’s logging in. We’ll also be adding the code for displaying a banner when the user is offline. Note that the crucial part in the above code is the currentUser nav param. If the user is online, this is a live Chatkit user instance. This allows you to call methods for joining or leaving rooms and sending or receiving messages. But if the user is offline, and you try to call those methods, the app will return an error, which can’t be handled gracefully using try..catch. That’s why we’re using the current user object so the errors can be handled with try..catch. 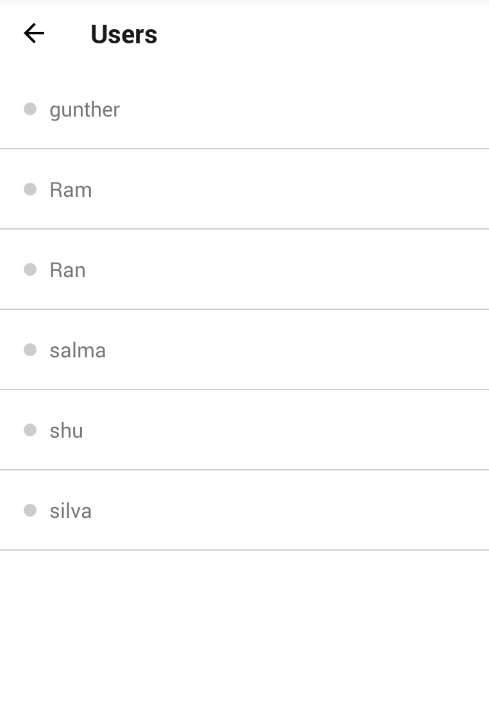 The Users screen is where the list of all the users who have logged in with the app are displayed. We’ll update it so it also displays the network status banner. We’ll also add the code to re-initialize the Chatkit user instance every time the user goes back online. Now we’re ready to update the Chat screen. As mentioned in the beginning of the tutorial, we’ll update it so it allows the user to type a message and send it while they’re offline. The messages sent will then be sent automatically when the user goes online. Aside from that, we’ll also locally persist the recent messages from the last person the user chatted with. Next, update the code for initializing the chat room. Currently, we’re only using it to disconnect the user from Chatkit, get the rooms they can join and subscribe to it if it has the same name as the current room (otherwise, we create it). This is also where we empty the messages if the user is online because subscribing to a room will automatically load the 11 most recent messages sent in the room. At this point, the app should work even while the user is offline. That’s it! In this tutorial, you learned how to apply the concepts and tips discussed in part one in a practical scenario. Specifically, you learned how to use the tools provided by React Native Offline and Redux Persist to make an existing chat app offline-friendly. You can find the source code used in this tutorial on its GitHub repo.